What a great semester for our fraternity and sorority leaders! From taking a stand against sexual assault to a women’s empowerment campaign, members are making a positive stand on the issues affecting students at Rochester. We again hosted a successful Greek or Treat Halloween event for elementary school children in the Quad A For Kids after-school program. And in recognition of the year of Inclusion at the College, fraternities and sororities have created innovative programming that celebrates the diversity of Rochester, ranging from a cultural festival and performance group showcase, a celebration of Sukkot, and even a “Get to Know Me Day” to get upperclassmen to network with new friends. This semester saw our inaugural Greek Weekend, improvements to the Expectations for Excellence accreditation program, several award-winning students and organizations, and the decision to add an eighth Panhellenic Association sorority! This edition will provide you with updates on these initiatives. Thank you for continued support of the fraternity and sorority community, and have a wonderful holiday season! 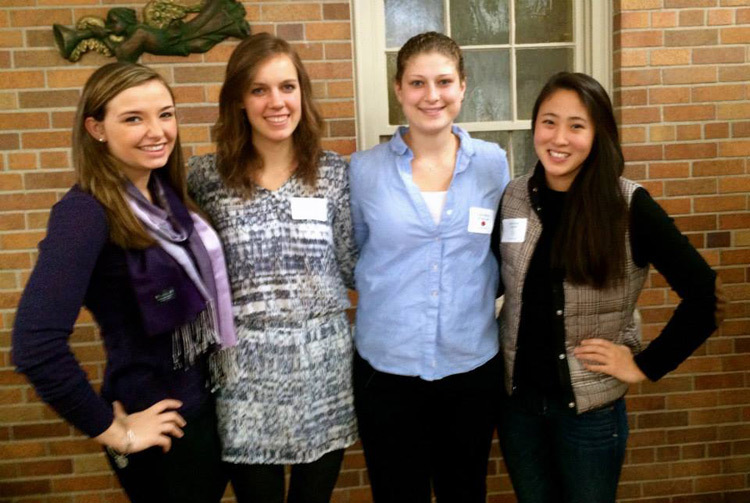 Stephanie Winkler ’15, Teresa Russell ’16, Rachel Klink ’16, Emily Fusco ’15, Raey Gesese ’16, and Alyssa Wolf ’15 are members of Delta Gamma, which received recognition for several initiatives during the 2013–14 year. Nick Benjamin ’14 received the Shideler Award, the fraternity’s highest undergraduate honor. The award is presented annually to the most outstanding graduating senior in Phi Kappa Tau. Diamond Chapter Award: The Diamond Chapter Award is presented to chapters who excel in all aspects of sorority life. In order to be eligible for the Diamond Chapter Award, the chapter must complete all seven Pearl Recognition applications. This is the highest honor a Sigma Delta Tau chapter can receive through the National Awards Committee. Outstanding Chapter Programming Award: This award is presented for the outstanding chapter program executed by a chapter in a specific area. The chapter’s programs are evaluated on organization, preparation, number of participants, and overall creativity and success of event. The Seven Pearls Award: The chapter has been recognized for their accomplishments in the following areas: (1) outstanding administration, (2) outstanding membership recruitment, (3) outstanding new member education and development, (4) outstanding scholarship, (5) outstanding chapter programming, (6) outstanding leadership development, and (7) outstanding alumnae. Roger Zaenglein ’48, inaugural recipient of the Genesee Graduate Chapter Lifetime Achievement Award, reflects on his decades of service and longtime partnership with the late Peter Heinrich ’60. 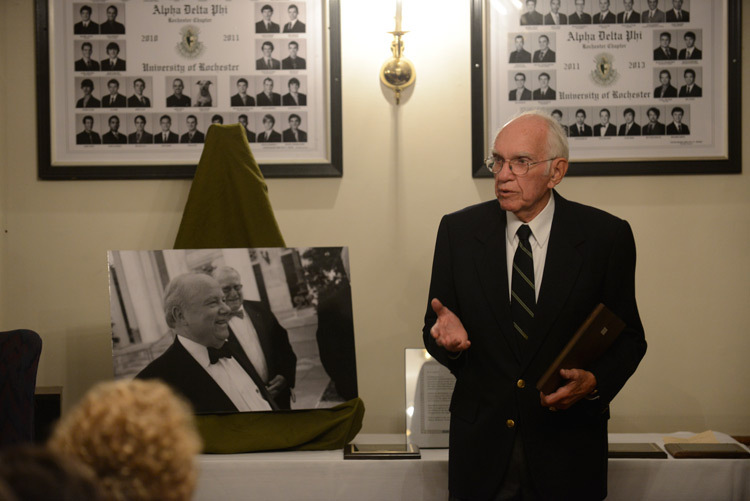 Over Meliora Weekend 2014, Alpha Delta Phi Fraternity held a ceremony to honor Peter Heinrich ’60 and Roger Zaenglein ’48 for their decades of service to the fraternity and to the University. While Zaenglein was in attendance, Heinrich’s awards were presented posthumously, as he died on October 9 following a years-long battle with cancer. In their honor, the Genesee Graduate Chapter established a Lifetime Achievement Award, to be presented to an individual or association whose long-standing commitment inspires others in support of the values championed by Alpha Delta Phi and the Rochester chapter. Further, the graduate chapter also established a Peter B. Heinrich ’60 and Roger W. Zaenglein ’48 Award for Excellence in Undergraduate Service to recognize extraordinary leadership and commitment to the Rochester chapter, and dedication and passion that inspires others to improve the chapter. The inaugural recipients of the award were Evan Alter ’13 and Jonathan LoTempio ’14. In August, the Alpha Delta Phi Board of Governors passed a special resolution to award Heinrich the Alpha Delta Phi Award, recognizing his service to the fraternity at the international level. The award will be presented at a later date. 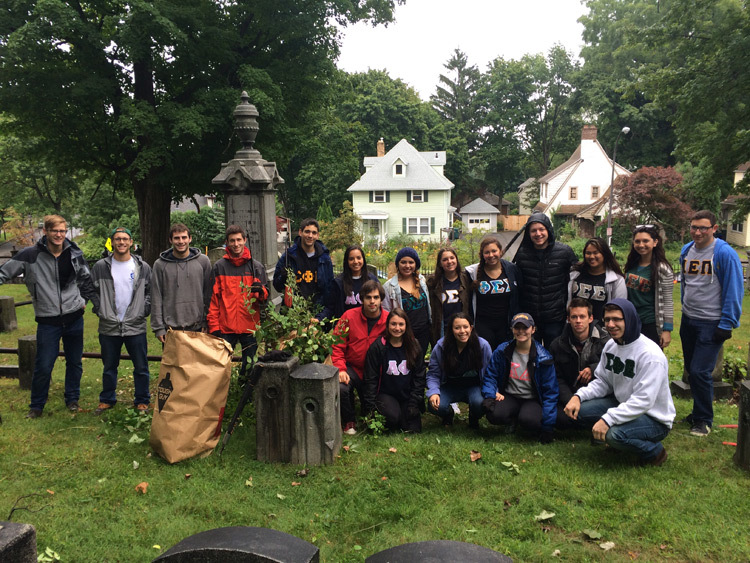 In early September, our fraternity and sorority community hosted its inaugural Greek Weekend. The Tri-Council leaders, which includes the Interfraternity Council, Multicultural Greek Council, and Panhellenic Association, successfully planned and executed three consecutive days of programming for our community. On Friday evening the Fraternity Quad opened up, inviting the entire campus to “Greek Glowout,” a glow stick dance party complete with a much anticipated foam machine. 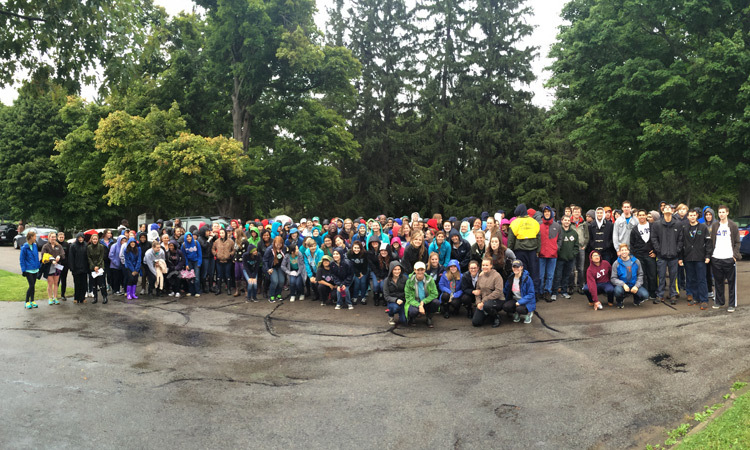 On Saturday morning, despite the rain and cold snap of a very early fall, over 400 of our students filled the Mount Hope Cemetery and 19th Ward Community Association for a morning service in areas bordering the campus. On Sunday evening the weekend concluded with the Greek God and Goddess pageant, where 10 contestants competed to represent their chapters and convince the panel of volunteer judges that they embody what is truly means to be a fraternity man or sorority woman on our campus. 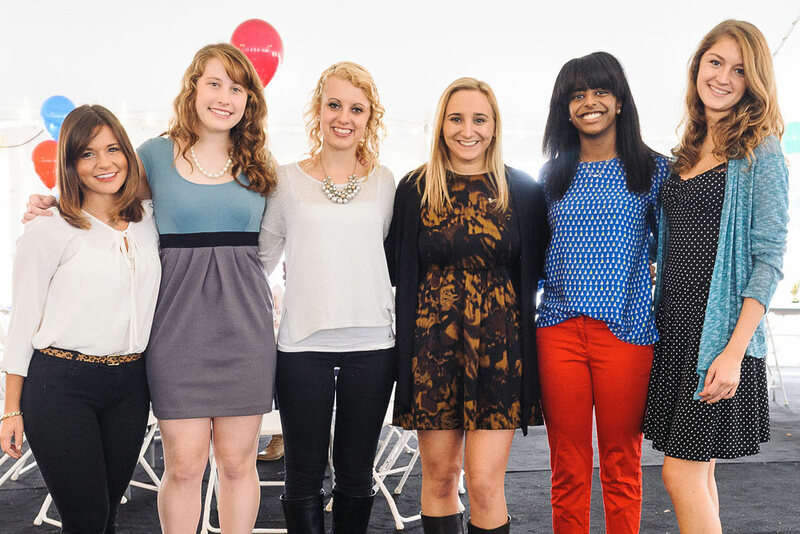 In October, the Panhellenic Association voted to expand the sorority community, adding an eighth Panhellenic sorority. The vote resulted from continued growth of chapter membership following the successful colonization of Chi Omega in 2010. Total membership has grown by 56 percent since spring 2010, and chapters feel the additional organization will accommodating the growing interest in the sorority community while also helping current organizations maintain their tight-knit feel. Every inter/national organization in the National Panhellenic Conference is eligible to submit an expansion proposal to the University of Rochester this semester. An expansion committee, which includes undergraduate and alumnae representatives from each current chapter, will select organizations to invite to campus to give a presentation about their organization. The Panhellenic Association organizations will then select an organization to begin colonizing in fall 2015. We are excited by the further growth and development of the community that this new organization will bring. Our spring newsletter will provide updates and an overview of the new Panhellenic organization. 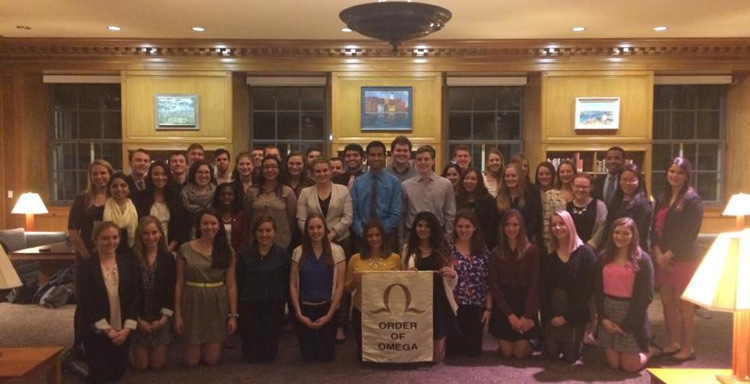 Congratulations to New Order of Omega Inductees! The Order of Omega is the Fraternity and Sorority honor society that recognizes the top 3 percent of fraternity and sorority leaders in the areas of service, leadership, and scholarship. Please join us in congratulating the newest members, who were initiated this semester!